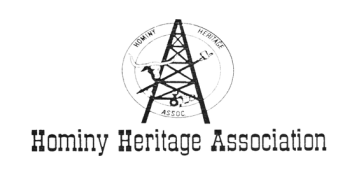 Meetings of the Hominy Heritage Association are held on the second Tuesday of each month at 1:30 PM at 103 S. Katy, in the north end of the MK&T Depot. Information including history, photographs and external resources can be found in our Archives section. For a brief history of Osage County and Hominy, Oklahoma, check out our Brief Early History section. If you are looking for more information on the Heritage's primary goals, read About our mission statement. ​Finally, if you can't find your answer here, please feel free to Contact Us.